Two DI columnists discuss whether climate change should be resolved through moderate or extreme measures. I’ve argued before that fighting climate change shouldn’t be a partisan debate. There’s plenty of reasons conservatives can get on board with a climate policy overhaul, including protecting agriculture and mitigating refugee crises. But the current Republican Party — led by the Trump administration — has made it clear that they’re not interested in doing anything to protect the environment. Earlier this millenium, protecting the environment wasn’t a contested issue. In 2008, Newt Gingrich, a Republican and former Speaker of the House, appeared in a pro-climate ad with current Speaker Nancy Pelosi. “Our country must take action to address climate change,” Gingrich said. That sounds good, right? The party of deregulation and the fossil fuel industry must be coming around? No. Just three years later, Gingrich recanted his comments and called for the abolition of the Environmental Protection Agency. Bipartisan agreement on the environment is becoming harder, not easier. The United States launches wars at the drop of a hat. The president declared emergencies over imagined immigration disasters. We send millions in aid the moment an actual disaster hits anywhere in the world. But when it comes to realistic solutions to save our planet, we’ve dragged our feet for so long that we’re at a complete standstill. The oceans are rising. The forests are burning. The air is toxic. The sea is plastic. The end of life as we know it is already in motion. The time for incremental regulations and political bargaining is over. The time for real action is now. 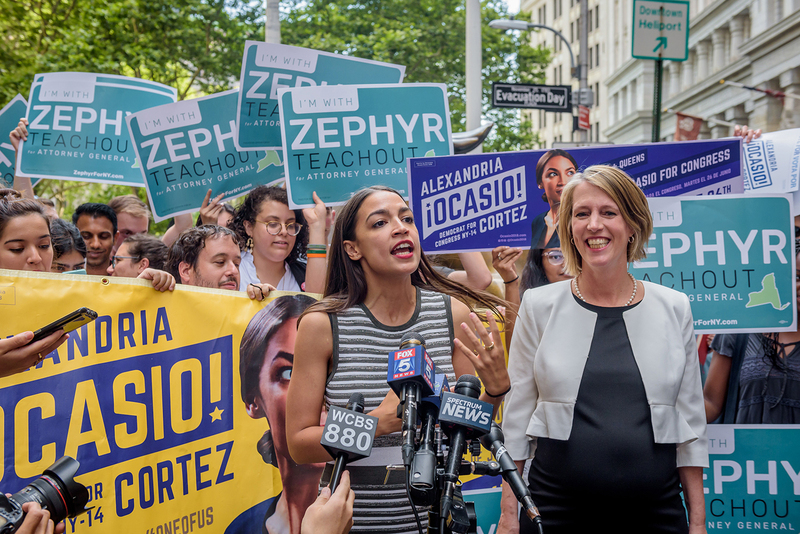 Rep. Alexandria Ocasio-Cortez, D-N.Y., has done more than just take the Twitter-verse by storm and Livestream on Instagram, she and Sen. Ed Markey, D-Mass., drafted a “Green New Deal,” which, they hope, will eventually eliminate all carbon emissions. The resolution, which would be nonbinding should it pass, also aims to tackle such issues as income inequality and injustice among minorities. OK, this sounds great, and I am completely on board. But I’m also a Democrat, and a pretty far left-leaning one at that. Although Democrats have the House, the Republican-dominated Senate wouldn’t even give this “deal” a second look. So how would an idea like this ever prosper? To be frank — and cynical — it can’t. At least not right now. There has to be some sort of center compromise for this legislation to go, well, anywhere productive. But this resolution encompasses so many facets it’s almost overwhelming to those who fail to support it. Now, this is not to say I don’t support the deal, nor does it imply that I don’t see the need for drastic measures … I do. The overt emission of greenhouse gases, income inequality, and injustice throughout the United States and its economic structure are undoubtedly issues. But just talking about radical resolutions that simply won’t pass across the aisle means nothing if we can’t get actual legislation passed. Wouldn’t it be more productive to compromise on the severity of the legislation’s stipulations to actually get something in the works to further combat carbon emissions while simultaneously securing American jobs? I find it hard to believe that the only way to achieve at least some of the goals at hand is to be unwavering completely. If we want change, we have to compromise.